The expedition seemed to be doomed to failure from the start. When my bus ended its run in the centre of the village, I still had to take a few hours’ walk to the place where the trail started. The ride I caught to get me to that place was packed with loggers going to work. Laughing, they made some room for me in the back of the van, and we went up the road, rocking side to side over potholes. Unfortunately, as soon as we reached the first stream it turned out that recent showers had washed away the bridge and we could only wade to the other bank on foot. It was already dark when I put up my tent under the trees. 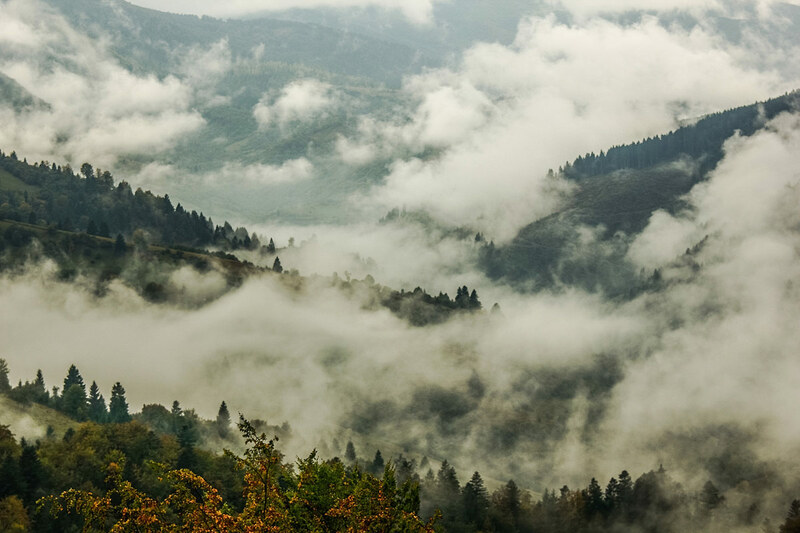 The weather was iffy, clouds were boiling in the valleys, and the wind howling over the ridge augured rain. There is something magical in wandering along the vast expanse of a high mountain meadow. When I climb to the summit at the crack of dawn, clouds seem to approach me. You’d think they are within hand’s reach. The broad ridge is empty but for a narrow muddy road going on for miles across the sea of grass. I have left the woods down below and now I am walking high above the tree line. The rain falling over the past few days has washed away the remaining patches of snow, so verdant slopes and valleys stretch out as far as the eye can see. A high mountain meadow is the land of freedom. I am here all alone with myself and nature. Plus, there are the mountain people whom I chance upon on my way. Unexpectedly, a herd on semi-feral horses emerges from the clouds right in front of me. Some locals must have brought them here to graze over the summer. The horses will stay in the pastures for a few months, unattended and unrestrained, until they are fetched to the valleys. 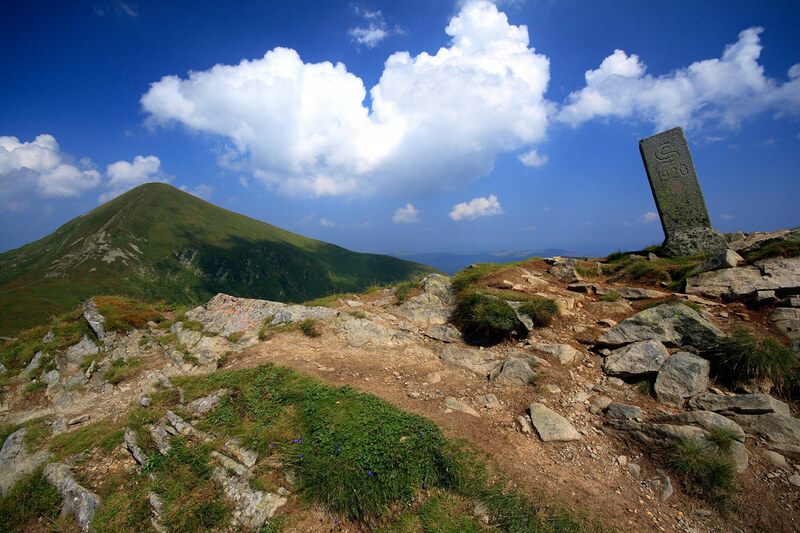 The first trails have recently been designated, but the peaks of the Eastern Carpathians still offer complete freedom. A trail here is little more than just a suggestion you can follow or turn down. Every ridge and every valley is an invitation to try and pick your own route through the mountains. And when there is no path at all? Why not pluck up your courage and blaze your own trail? The mountains provide opportunities for encounters with history. It is distant, and yet still palpable, as if close at hand. On the main range of Chornohora, at the feet of Ukraine’s highest mountains, I come across old border posts with engraved inscriptions. You can still decipher the ancient letters and dates that go back to the previous century. In such places, time stands still. A few more border stones, bent with age, peek out from the thicket in the beech forests of the Gorgany Range. You can still follow historic maps here, so I hike along the former border for quite a while. On the second day of my hike, save for one chance encounter, there is no-one on the path that goes along the ridge. At dusk, I set up a camp and sit by the fire until late at night. At daybreak, I pack up the tent and set out in a random direction. Nothing limits me. 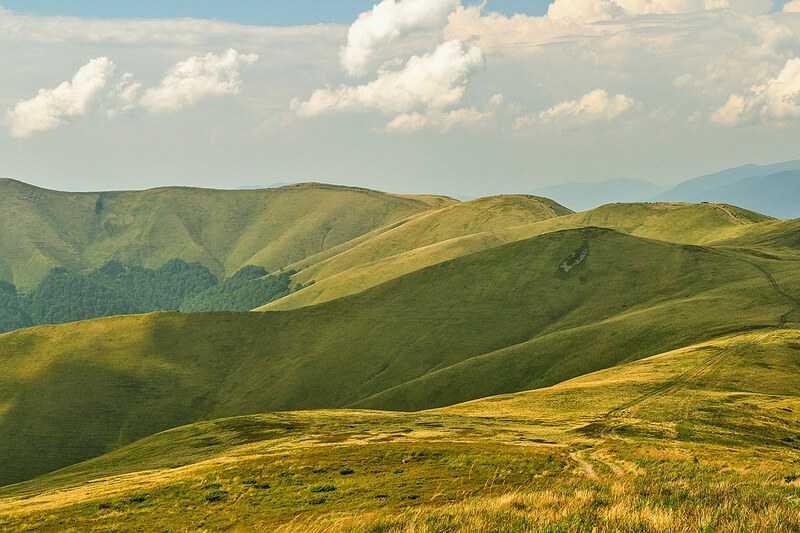 Last but not least, the Eastern Carpathians offer an opportunity to meet people, always open-hearted and friendly towards arrivals. Be it loggers at the feet of Mount Hoverla, or a farmer living high up the side of a valley – everyone here finds the time to take a break, have a chat, or help you if you need it. We speak different languages, and yet it only takes a moment to understand each other perfectly. Such meetings remind me that even though it is solitude that I seek when I go to the mountains, it is still the people who make me want to come back to the East whenever I can. Here, meeting another person is still a celebration. At sunset, I reach the peak of Mount Popadia in the Gorgany Range. The sky has cleared up, and I can see distant summits: from the Romanian ranges in the south to the Polish Bieszczady in the West. 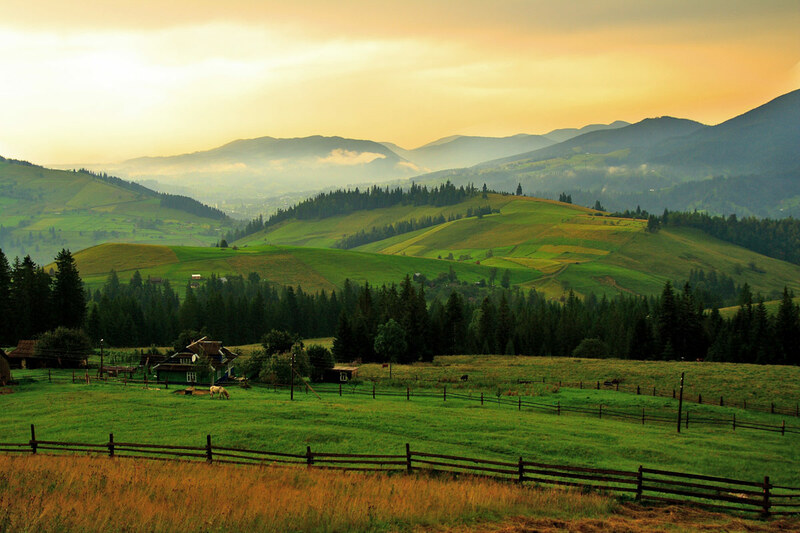 There is no other place like this in the entire Carpathians. It is here that I find the space for freedom, the call of the wild, and my inner balance.